If you get above screen, just click “BACK” button and from previous screen click “NEXT” button. Actually silly, but sounds good. Download .zip format instead of ‘SDK Manager.exe’ and then try to install. It’s all so silly, but work like a charm. 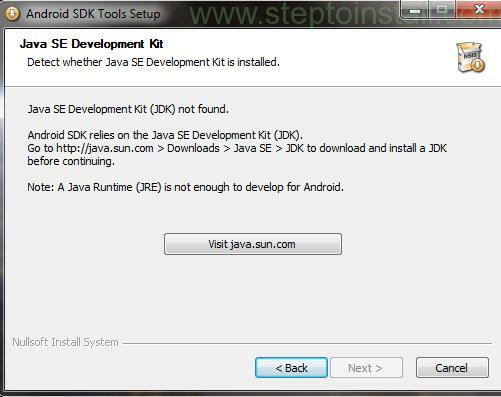 If you installed 64 bit JDK means, just uninstall that and install 32-bit JDK. Next story Why Android Emulator is slow and how make it as faster? Previous story How to Install / Uninstall .apk file application programmatically on Android?